Claude the dog with the red beret needs a vacation. What better person to spend it with than his best friend, Sir Bobblysock. After packing all sorts of useful things like tambourines, whipped cream, and sticky tape, the two head off on and adventure to the beach. Claude's relaxing day at the beach winds up filled with excitement as he rescues a swimmer from a shark, enters sand castle building contest and has a surprise waiting in his hunt for pirate treasure. Who knew strutting around in red underwear held up by tape could be so fun? Kids will never get enough of Claude and his hilarious antics. Quirky illustrations endear the reader to already loveable characters. Claude will leave his fans hardly able to contain their excitement for his next adventure. To celebrate the April release of Claude at the Beach, I am giving away a hard copy to one of my lucky readers in April. Please use the Rafflecopter form to enter. By entering, you acknowledge you have read the terms on the form and agree to them. Contest ends 4/20/2014 at 11:59 p.m. EST. My boys would love this book! They are both at an age where seeing a dog prance around the pages in a pair of red underwear would make their day!!!! We love the beach and getting to see what happens to this pup in the red beret would be fantastic! Thanks for the chance. Hope I did the above entries correctly!!! My grandson would love this book. He has two dogs of his own, and I know that he would enjoy a book about Claude, the dog. I can hear him laughing while reading about a dog strutting around in red underwear held up by tape. It sounds like a great book for boys, and one that my grandson would enjoy. 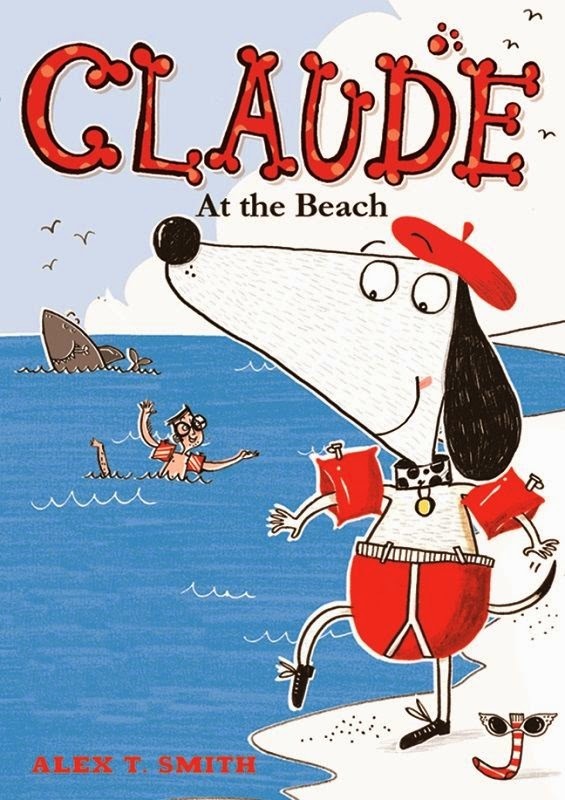 I think that my granddaughter will enjoy reading about Claude's trip to the beach and swimming in his underwear and we would love to find out what is in the sand. Think it will be a fun read. We went to the beach on Coronado Island this summer when we visited my son and grandsons in San Diego and my granddaughter was fascinated by the sand and how the water filled in the hole flat, was a lot of fun. My boys would love to read about Claude. I am sure they would giggle at all of Claudes adventures. My daughter would love about Claude is that he is a dog that goes places and does things. Would keep her attention. They would like how funny he is.